Palram SanRemo Veranda Grey 3 x 4.25: This fabulous conservatory will provide an extension to your home allowing you to sit and relax in comfort and enjoy your garden. You can use this extra space to provide a new indoor/outdoor dining area or somewhere you place lounge sets or reclining chairs. Alternatively why not use the extra space to place your plants or create a games room. The polycarbonate shatter resistant roof panels provide UV protection and the acrylic wall panels provide crystal clear viewing and are easy to clean. 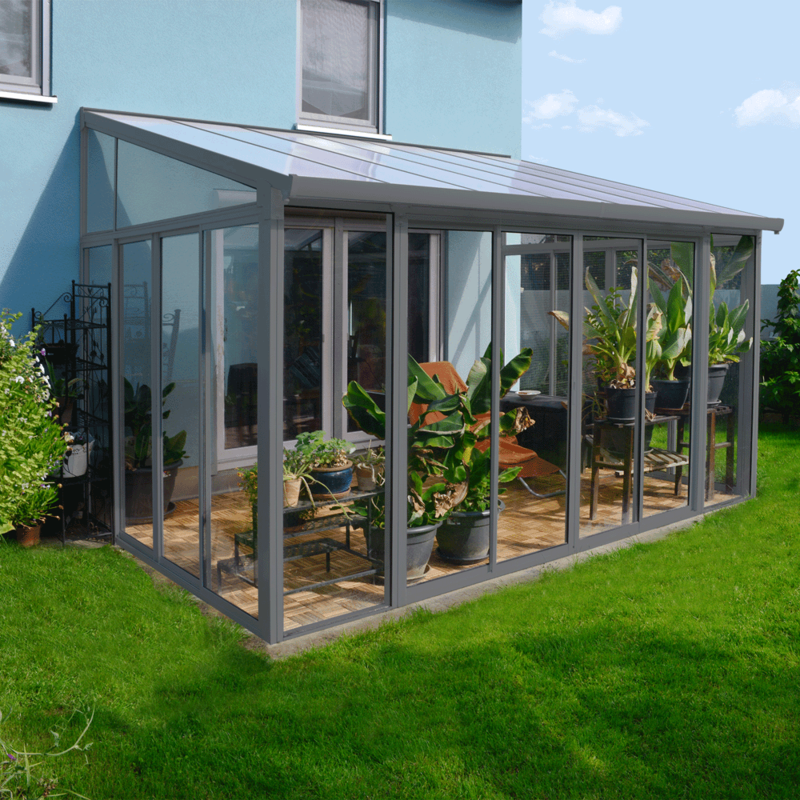 This conservatory features lockable doors and an integrated gutter system and the sturdy rust resistant grey powder coated aluminium frame and aluminium base are easy to assemble. A 10 year warranty against manufacturing defects is included. Optional Screen Door Set available from our website code 703755.